Q: I’m applying for legal permanent residence in the US, based on my marriage to a US citizen. I’m undocumented, and I’ve been working here for several years without authorization from the immigration authorities. I see that the forms involved in the process for getting a green card include questions about my employment history as far back as five years ago. I’m concerned that my application will be denied if I list my jobs in the US. What should I do? A: Quite simply, you need to tell the truth in response to all the questions on the forms filed with US Citizenship and Immigration Services (USCIS). This means not just making true statements; it also means not omitting facts when asked for them. Some applicants want to say that they have been unemployed for their entire time in the US or just leave blanks where job information is sought. There are two major problems with doing so if the false statement or omission is detected: (1) The immigration benefit sought will be denied, and the applicant will risk deportation; and (2) making a false statement or omitting a material fact on an application form (as well as submitting any false documents to accompany an application) is equivalent to perjury, a federal felony that could result not just in deportation but prosecution and imprisonment in the US beforehand. Likewise, some applicants think that they can deny past involvement with the criminal justice system in the US or abroad, omit reference to past entries into the US, past marriages, and the like, and no one will know. This belief often is based on hearsay about some acquaintance who got away with this sometime in the past. But applicants need to realize that the enforcement climate with regard to immigration is very different now than it was before September 11, 2001. The Department of Homeland Security and the FBI run criminal background checks on applicants that reach records worldwide. Plus, US arrival and departure records are held in a computerized data base and are easily retrievable by immigration officers. Finally, the interviews for adjustment of status applicants are conducted by experienced USCIS officers who are adept at detecting falsehoods in applications. So it is crucial to understand the importance of submitting complete and accurate applications to USCIS. The good news for adjustment of status applicants who are immediate relatives of US citizens (spouses, parents, unmarried children under 21) is that unlawful presence in the US and unauthorized unemployment are not in themselves grounds for denying an application. Likewise, minor criminal offenses, if openly disclosed, are not necessarily a bar to permanent residence. Nevertheless, anyone who has a criminal record, no matter how minor and how long ago, and no matter what the outcome of the case was, needs advice from a lawyer competent to practice immigration law before proceeding with any application to US immigration authorities. 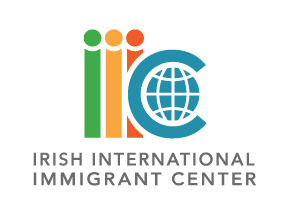 You can visit one of IIIC’s weekly legal clinics for a free, confidential consultation on this or any other immigration law issue.